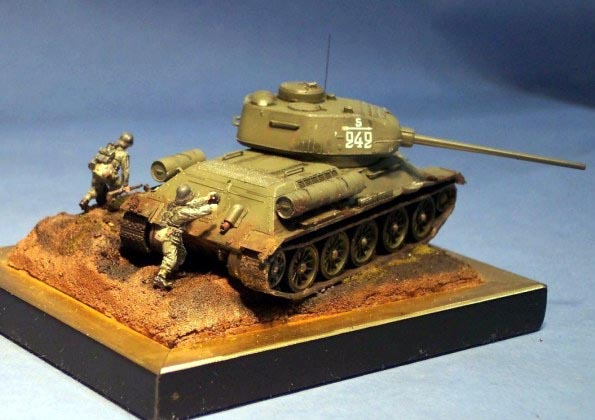 ”T34 and Tankhunters” is a very typical ”Berthold-Diorama”. 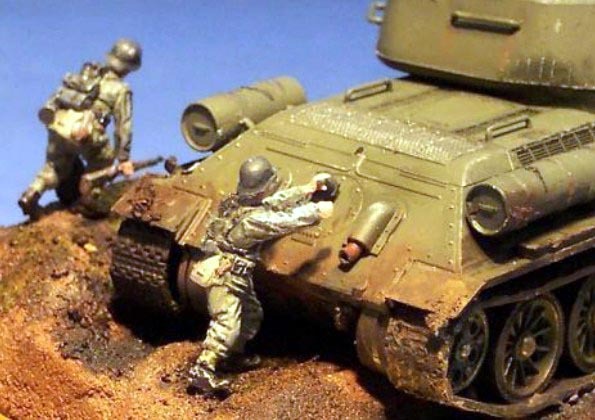 That means, it is very small, it shows one fighting vehicle and several figures. Nothing’s there to pay more attention to than the little fighting scene, which is shown. 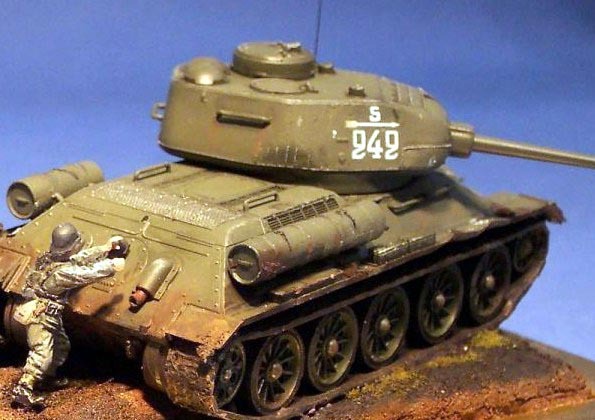 The T34/85 is Revell’s superb release of this famous Russian tank. But to some extend it is worked over. The turret structure was not rough enough, so I made it rough by the use of Acetone. Having done so the welding on the turret were imitated. Therefore some very thin sprues were fixed on the turret and then brushed over with Acetone and last but not least they were detailed with a very little screwdriver. Figures are from FCM(United Fun, Hameln, Germany). Great job Andreas Richter!! !..